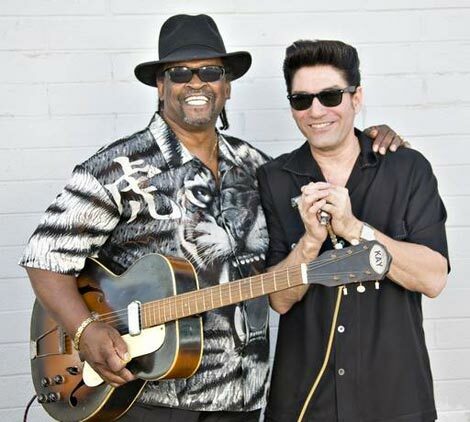 The “Mississippi meets Chicago” blues partnership of Dave Riley and Bob Corritore is now in its 8th year. This is their 3rd CD together, and they have toured extensively in the USA, Europe and South America. Their stage show is a real down-home blues throw-down!Dave Riley grew up in Hattiesburg, Mississippi before moving to the West Side of Chicago. He worked down South in later years, and was a close associate of Frank Frost, Sam Carr and John Weston. Bob Corritore is a Chicago born and bred harmonica player. He won the 2012 Living Blues Award for Best Harmonica Player. Bob’s Harmonica Blues CD won a 2011 Blues Music Award, he is a recipient of the Blues Foundation’s Keeping The Blues and performed on a Grammy-nominated album.Alive Award and performed on a Grammy-nominated album.